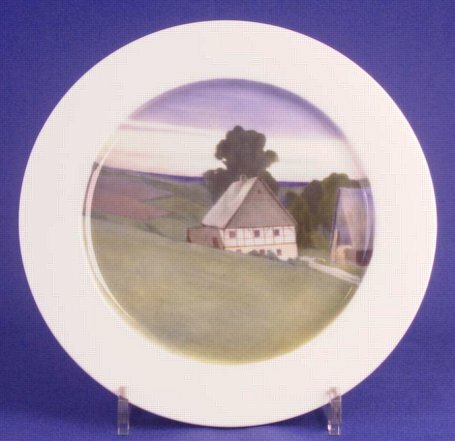 Description: Meissen plate decorated with a farmhouse set in a landscape. The colours used are the high temperature colours (Scharffeuerfarben) developed towards the end of the nineteenth century. These colours were fired at up to 1200c, causing the enamels to fuse into the glaze to create the soft, rich effects that are their distinctive feature.